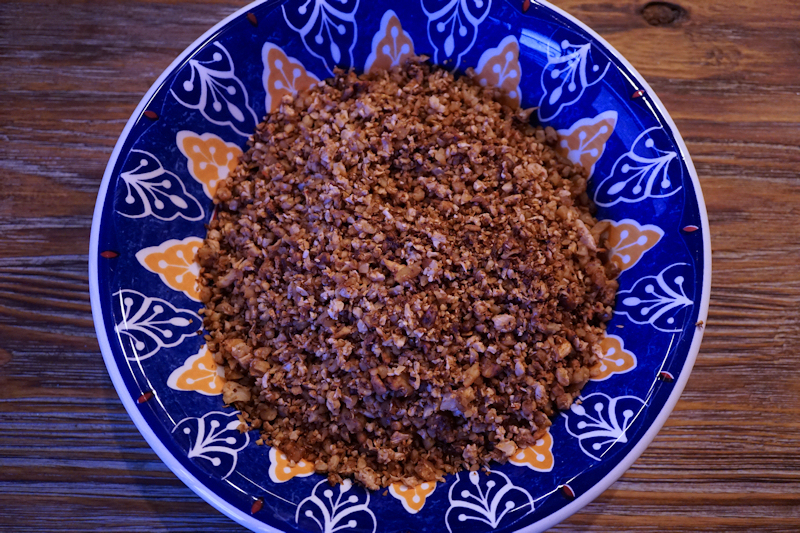 Place the cauliflower, walnuts, and garlic in the food processor and blend. You may have to do this in two batches. Depending on the grain you like determines how long you should blend. 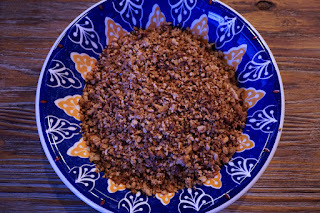 Pour the cauliflower mixture into a large bowl and stir in the soy sauce, liquid smoke, salt, and Mexican/taco seasoning. Stir until you can no longer find unseasoned white clumps of cauliflower. Spread the mixture onto the baking sheet (one with sides works best) in an even layer. Bake for 30-40 minutes, returning every 15 minutes to stir and redistribute. The “meat” is done baking when it is dry, browned, and forms separate clusters.